Victorinox makes world-famous Swiss Army Knives. Victorinox knives are hand crafted in Ibach, Switzerland using a unique and extremely durable stainless steel: X50 Cr Mo V15. 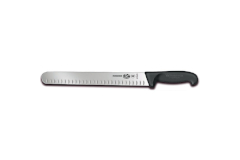 This steel has a Rockwell hardness of 55-56 which gives you an extremely sharp edge, excellent strength and makes for easy sharpening. Victorinox knives have even been used by astronauts on the Space Shuttle! 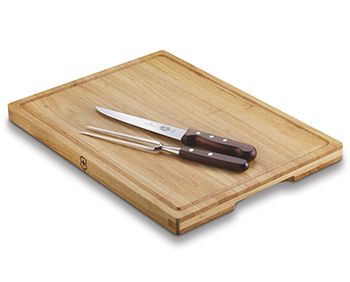 Victorinox has both stamped and forged knives for all household and professional applications. 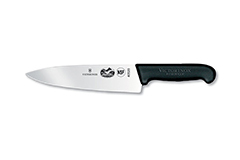 Victorinox forged knives use steel initially forged in Solingen, Germany. These forged knife blanks are then hand finished in Switzerland with as many as 50 manufacturing steps! All Forschner Victorinox knives come with a lifetime warranty against manufacturing defects.